Not even a couple of years back, people weren’t even sure of the future of Tesla Inc., when Elon Musk, the CEO of the company, had set a very unrealistic timeline for the Model 3. This luxury sedan is a result of all the aggressive instincts on their part. In short, the newest Tesla Model 3 is no less than a make-or-break product with a lot depending on it. The Tesla Model 3 was initially codenamed as the BlueStar. The company has done all the hard work to make sure that nothing of the things that were hard earned dies away. In saying that the future of the company depends on the present model, we meant that the significant existence of the company was entirely dependent on whether it succeeds in matching its words. But now, Tesla Inc. has proven all the pundits and all of the people who doubted the management wrong. The news everywhere flashed that Tesla’s market value in the United States of America topped, dethroning GM in this week’s report. This also means that for the first time in the history of this era, the most valuable car in the States is not based in Detroit. The stock market showed that Tesla’s stock has managed to get on to a record high of $312.39 this week getting the company’s present market value to rise to a whopping $50.9 billion. This also means that this is around $1 million more than the General Motors, who has been the ruler for all these years. And you will surely be amazed at this, Tesla is not profitable yet. But after this massive leap, one can bet on the fact that the market valuation will definitely take Tesla Inc. a very long way. The belief of Elon Musk that he can instill that kind of technology in electric cars that will revolutionize automotive and energy into a perfect harmony and develop innovations that would be so much substantial in the days to come. In fact, through software updates and other necessary actions, the company can add up a good number of improvements to the cars that it has already sold in the past. These features and improvements include partial autonomous, automatic braking and automatic parking. We all remember the quote that Elon Musk once said. Not many would have been able to imagine that he was so much determined to get to what he aspired to. The Models S is designed to be a sophisticated form of the computer on wheels. This is what the CEO quoted at the time of announcing a software update for the Model S back in 2015. He had also mentioned that Tesla is a software company as much as a hardware company. Softwares in cars are as important as it is on our PCs and laptops. But all of this was not just a matter of time, it was more of the hard work and the energy that needed to be put in. In 2016, Tesla managed to sell just 76,230 units, falling short of its own target of 80,000, despite all of the tremendous market value and innovation. On the contrary, GM sold over 10 million cars within that period and Ford sold roughly 6.7 million. But what worked in the favour of Tesla was the long term expectation for the growth of the company. Many analysts believe that it will be way too difficult to achieve what it aims to with all of its instinctive decision making. They also believe that General Motors and Ford may even overtake the Silicon-Valley company with their electric cars. 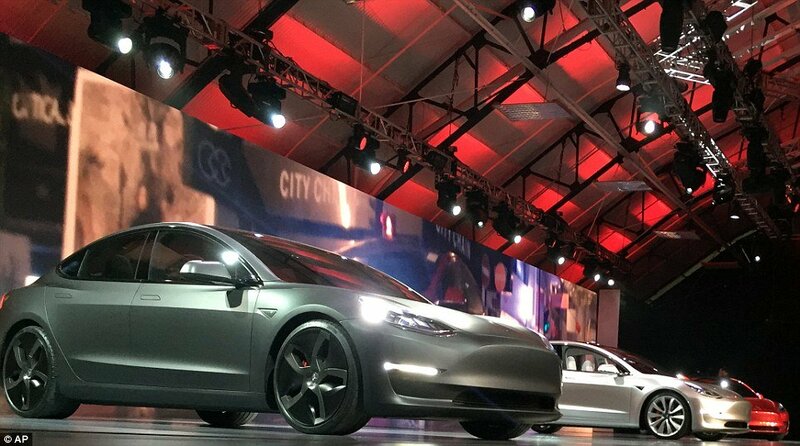 But even though things look way too difficult for them, the thought of sufficing the desire to own cars that are faster and go longer than regular IC car, will take take Tesla to where it would feel belonged to. From edge cutting batteries to great innovations to power them, the company will be aiming to transforming the way the auto industry functions, just like its had done a century ago.